AN POST WOULD have you believe that Christmas starts when you send a card, but we all know that’s not true. Christmas starts when you’re explaining to your boss you didn’t mean those things you said after overindulging on the free bar at your office party. But there is something nice abut receiving a card, especially a personalised one. That said, we’re not sure the intended recipients will be too enamoured with our completely fabricated and badly photoshopped Christmas Cards. Everyone’s favourite cycling journalist has a simple message for everyone’s favourite former seven-time Tour de France winner. After all, after a 1,000 page USADA report, what else is left to say? Email “Happy Christmas, Lance! It’s TheScore.ie’s Christmas card list”. Feedback on “Happy Christmas, Lance! 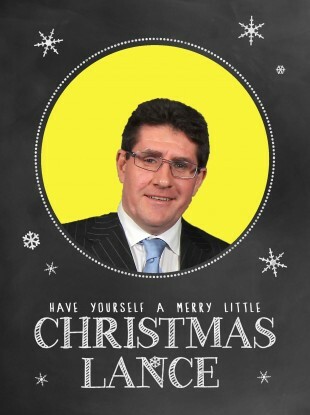 It’s TheScore.ie’s Christmas card list”.